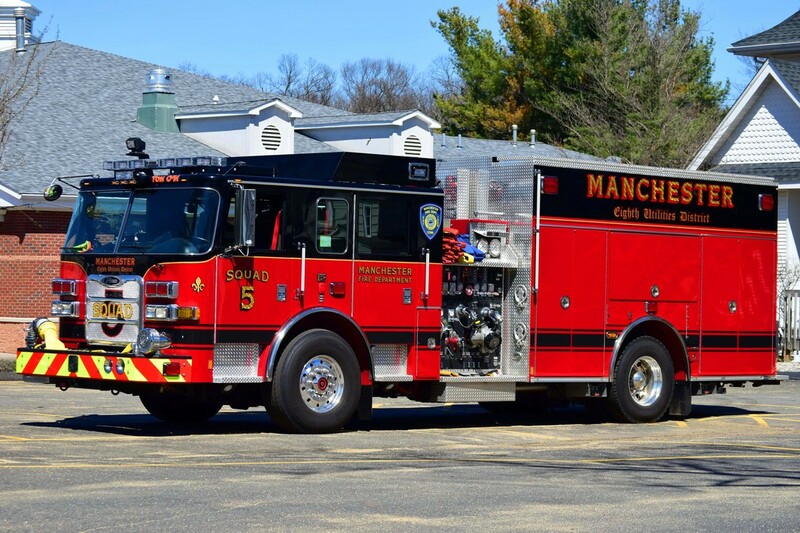 This is the page for the Manchester Eighth Utilities District FD. 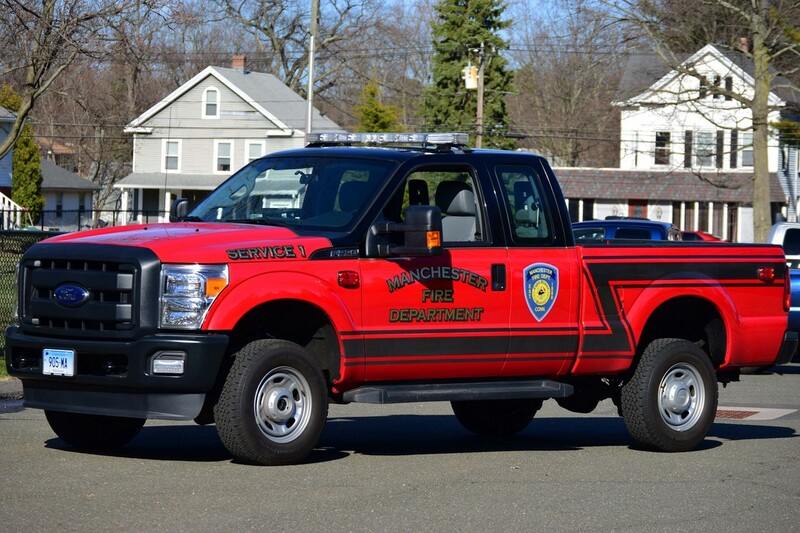 They have 5 engines (1 rescue engine and 1 reserve engine), 1 rescue mini pumper, 1 tower ladder, 1 pickup truck, 1 utility truck, 2 SUVs and 3 (1 storage/training) stations. 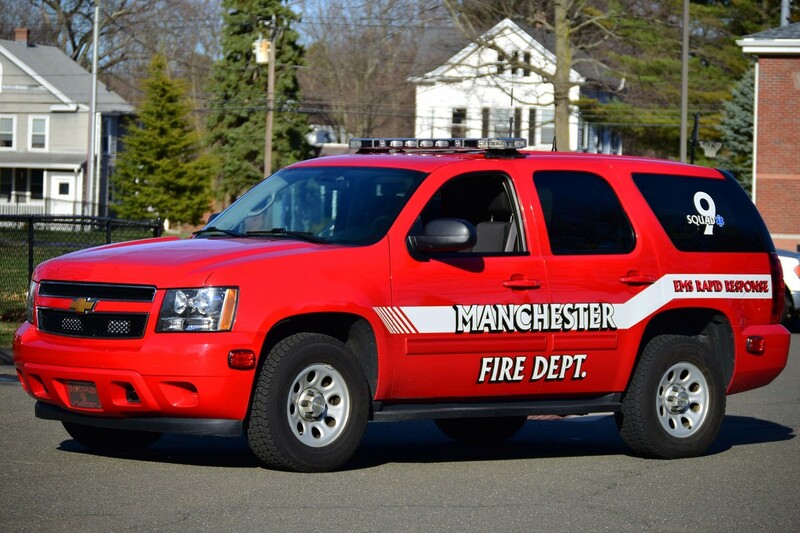 Manchester Eighth Utilities' Unit 8, a 2012 Chevy Tahoe shift commander's SUV. 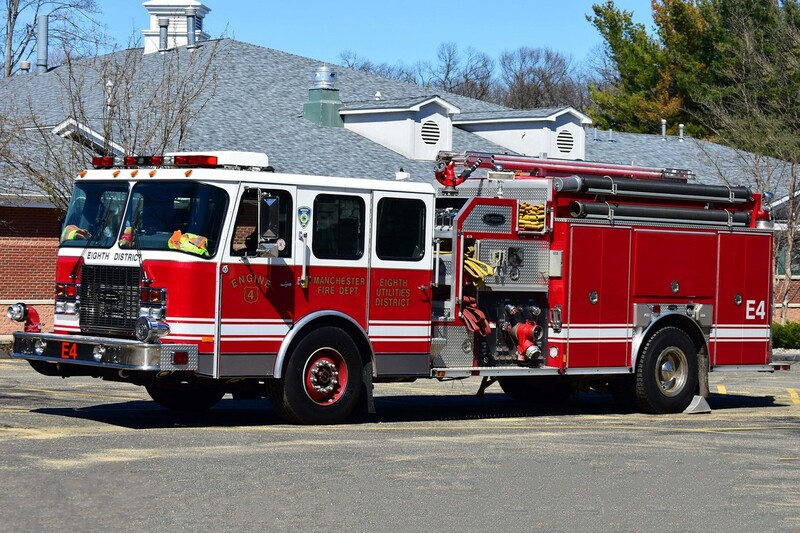 Manchester Eighth Utilities' Engine 2, a 2004 E-One Typhoon. 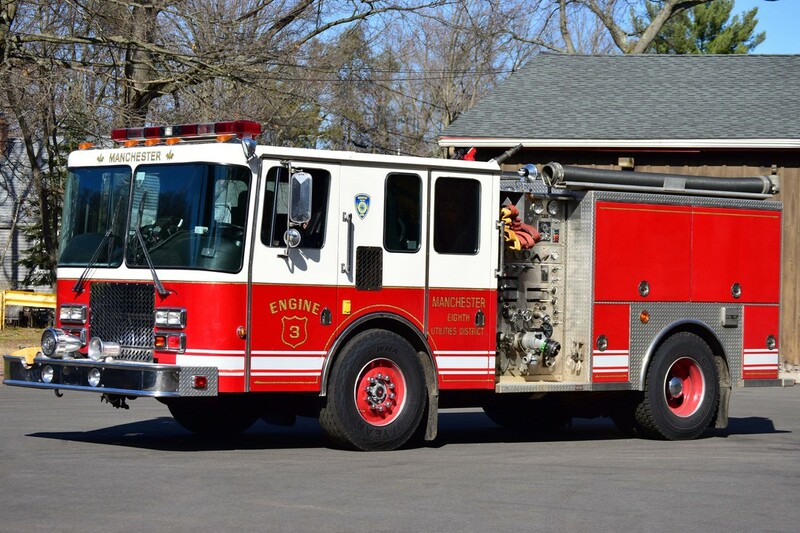 Manchester Eighth Utilities' Engine 3, a 1993 HME?/Saulsbury. 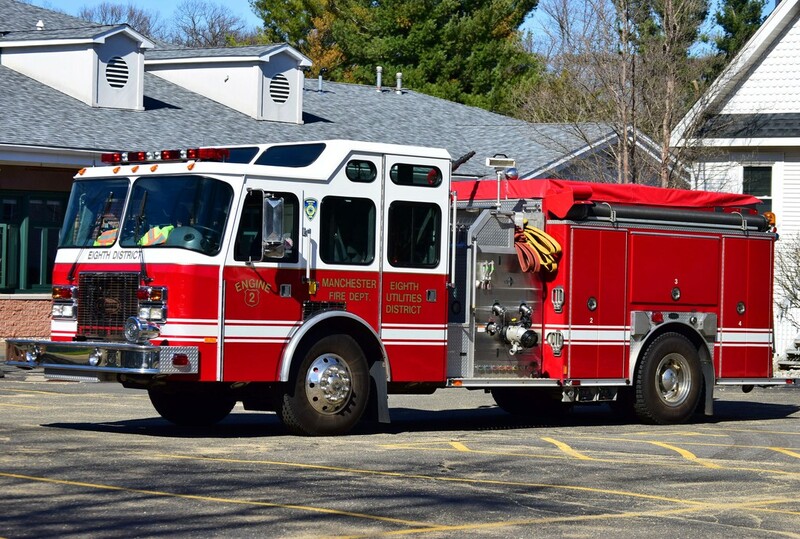 Manchester Eighth Utilities' Engine 4, a 2002 E-One Cyclone II. 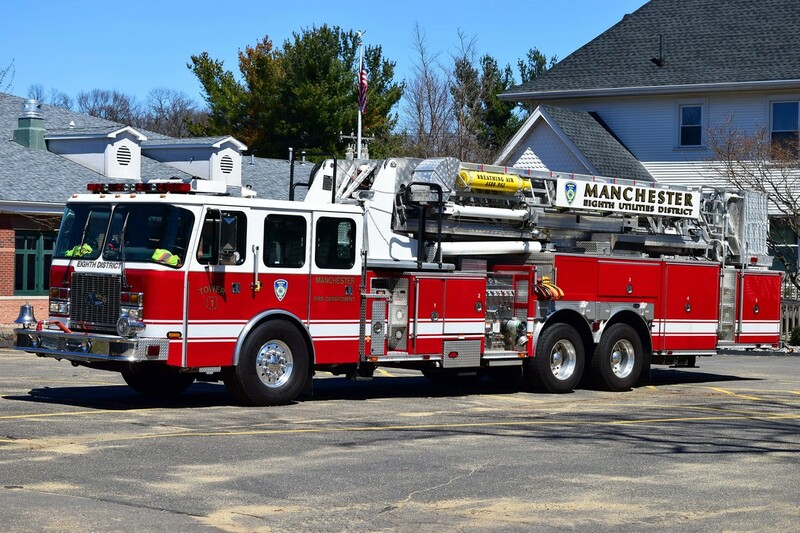 Manchester Eighth Utilities' Squad 5, a 2015 Pierce Arrow XT rescue pumper. 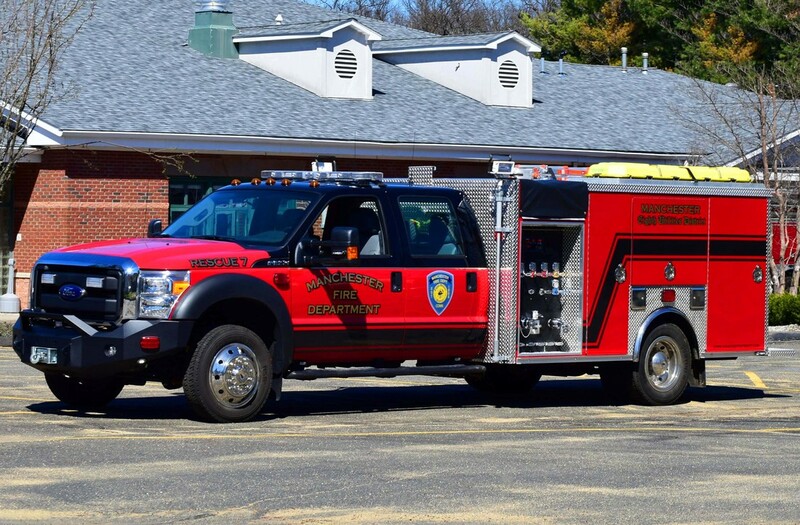 Manchester Eighth Utilities' Rescue 7, a 2016 Ford F-550/2000 EVI remount rescue mini pumper. Manchester Eighth Utilities' Tower 1, a 2003 E-One Cyclone II. 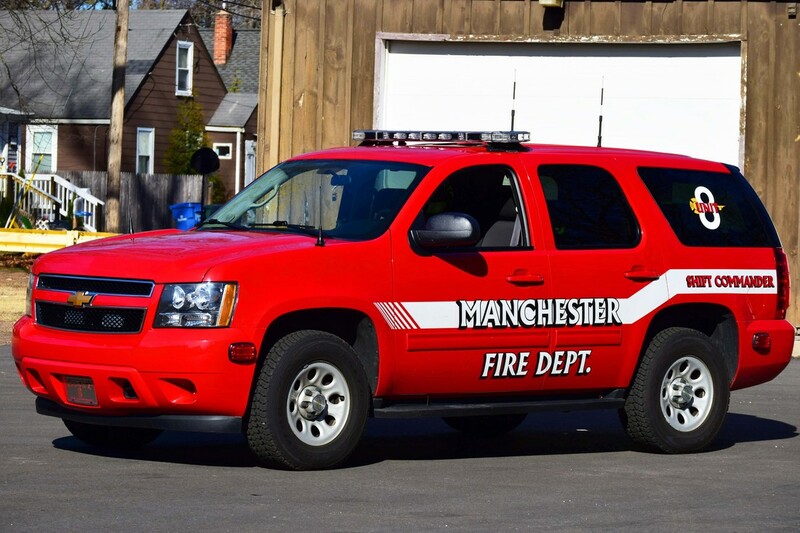 Manchester Eighth Utilities' Squad 9, a 2012 Chevy Tahoe EMS response SUV. Manchester Eighth Utilities' Service 1, a 201? Ford F-350 pickup truck.